"WE ARE DEEPLY SADDENED BY THE PASSING OF WILLIAM OUR..."
Mr. William Penn Colvin, 88, died Saturday, March 23, 2019, at Piedmont Medical Center in Rock Hill. A memorial service will be held at 11 a.m. Saturday, March 30, 2019, at Chester A.R.P. Church with the Rev. Clint Davis, Dr. Dwight Pearson and the Rev. Buzzy Elder officiating. Interment will be private. The family will receive friends immediately following the service in the Barron Room of Chester A.R.P. Church. Mr. Colvin was born Dec. 19, 1930, in Chester and was a son of the late Jake Stone Colvin and Bernice Barr Colvin. Mr. Colvin was a graduate of Chester High School and the U.S. Naval Academy and also Clemson College. He was retired from the U.S. Navy, having served during the Korean War and Vietnam War. He was employed with Trident-Tech of Charleston, S.C. and was formerly city manager of Chester and later an insurance salesman for Combined Ins. Co. Mr. Colvin was a member of Chester A.R.P. Church, where he was an elder. He was also Member Emeritus of Richburg Masonic Lodge, Blue Lodge and York Rites. 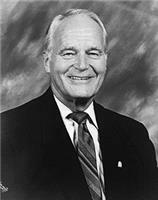 He was Most Illustrious Grand Council of Royal and Select Masons of S.C., Past District Deputy of 23rd Masonic District of S.C. for Grand Lodge A.F.M., Past Master of Chester Masonic Lodge # 18, former President of the Chester Lions Club and a member of the American Legion. He is survived by his wife of over 16 years, Ann Culp Colvin; three children, Jake Stone Colvin IV (Susan) of Charleston, S.C., John Woche Colvin of Chester and Margaret Anne Colvin of Chester; four grandchildren, Jeneane Colvin, Revaey Colvin Earley (Jacob), Jordan Young ( Lance) and Andrea Andreu (Marc); eight great-grandchildren, James, Josh, Seth, Penn, Lincoln, Wynter, Rhett and Oscar; and numerous nieces and nephews. He was preceded in death by his first wife, Anne Woche Colvin; two sisters; and one brother. Memorials may be made to Chester A.R.P. Church, P.O. Box 174, Chester, SC 29706.